Exploring the secrets of the world is not a task for an ordinary cruise, nor is it entrusted to just any guest. 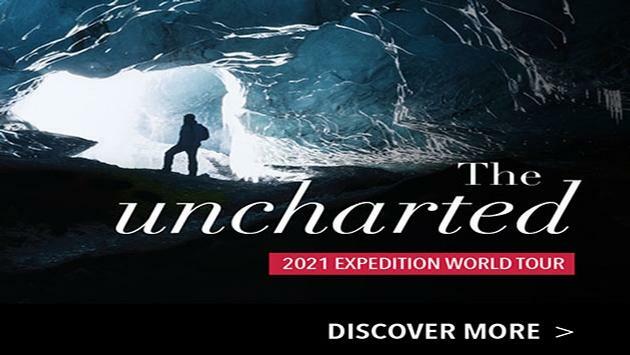 Be the first to embark on Silversea’s inaugural Expedition World Cruise, The Uncharted 2021 World Tour, and discover the untouched wonders of the world. Set sail on a 167-day adventure with no time for boredom, as you see the world unfiltered for the first time. Begin your tour in Ushuaia and conclude in Tromsø after viewing the uncharted world in its purest form. Take exploration to new levels on the first-ever Expedition World Cruise. LAST MINUTE SAVINGS: $1,000 ONBOARD CREDIT!